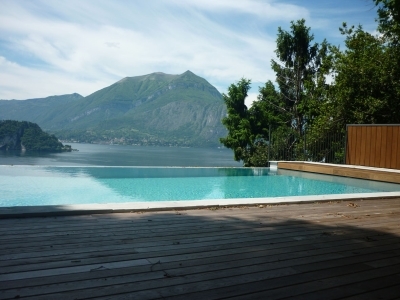 Swimming pool in Pino Fiumelatte, Varenna. 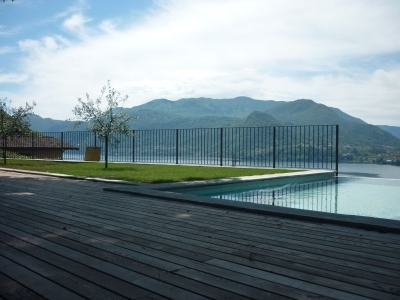 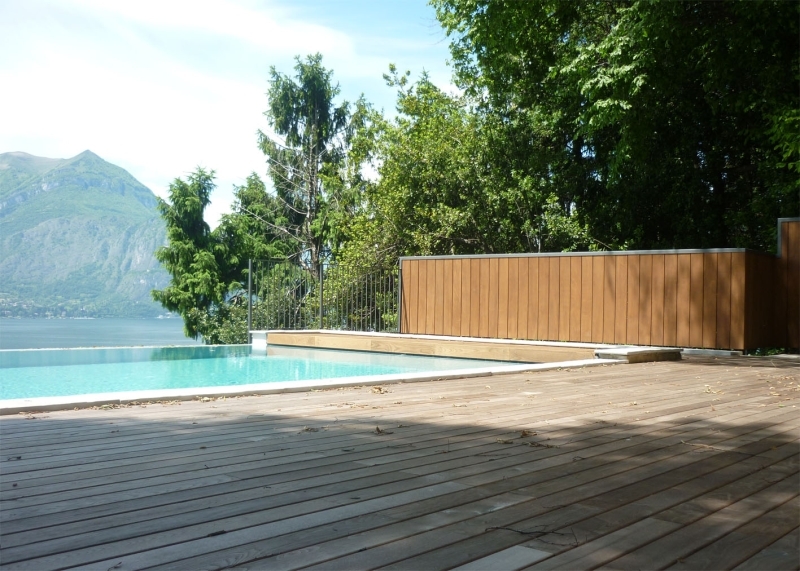 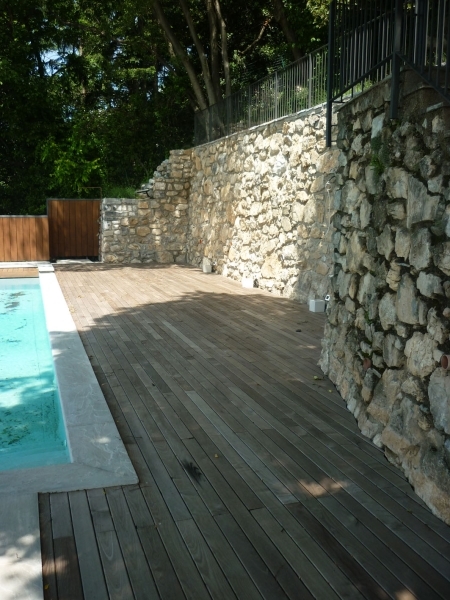 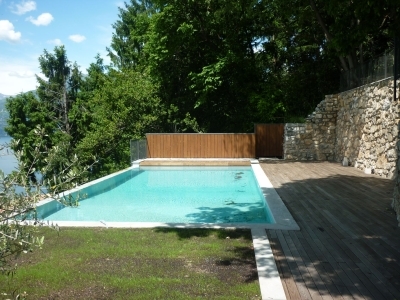 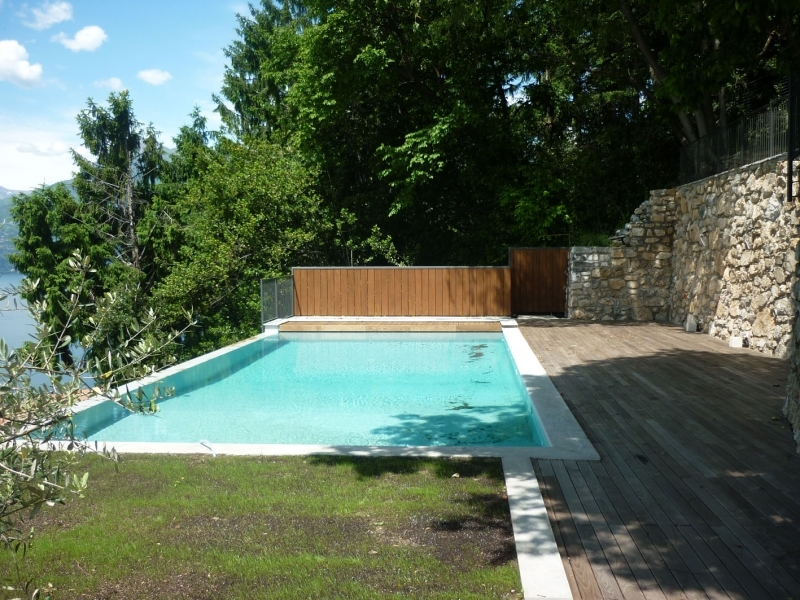 Design and construction of an infinity pool with wooden flooring and edge in local stone. 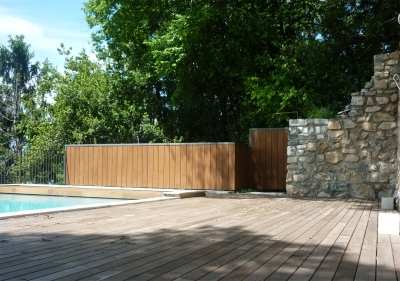 The rolling shutter cover for swimming pools, which is gathered on the short side of the pool, is covered with lists of teak. 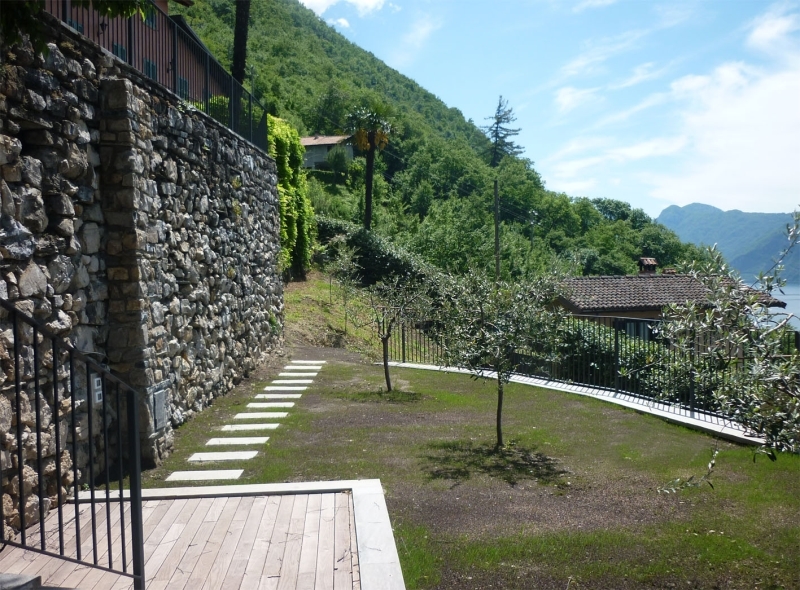 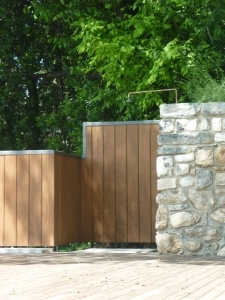 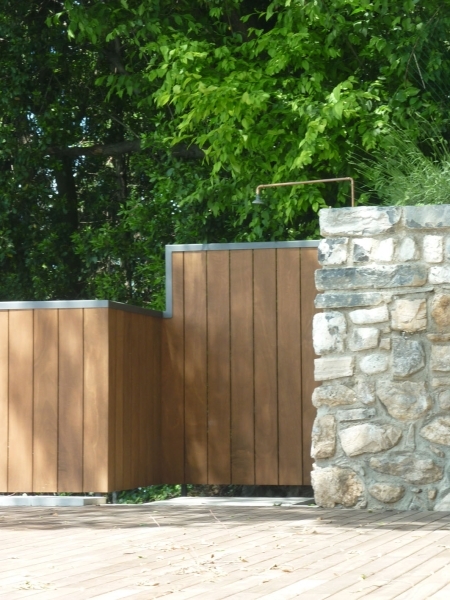 The retaining wall is made of stone varenna and the garden has been planted with olive trees according to the project.